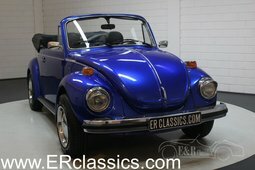 With a total production count of 21,000,000, the Beetle is easily one of the most prominent classics out there. To an untrained eye, they may all look like a bunch of round-shaped carbon copies, but there are subtle differences between them giving away the true identity of each bug. Here are the traits to tell the Beetles apart the next time you see one in the wild. Perhaps the best indication of a Beetle’s vintage is its rear window. Very early cars had a split window, or “Brezel” (German for pretzel) in the back, and are now among the most desirable iterations of the people’s car. In 1952 the split in the oval window was removed, also giving the car a new nickname. In the enthusiast circles, these cars are often called “Ovals”. In 1956 the rear window was enlarged to the rounded rectangle shape that would remain for the rest of the model’s production. 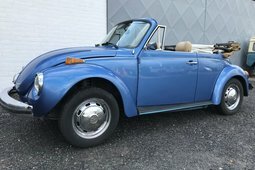 In 1968 the Beetle underwent one of the major updates, receiving shorter engine and luggage lids, external fuel cap, 12V electrical system and, most notably, vertical headlights. The update came about as the car had to accommodate American style sealed-beam headlights to comply with the regulation. This body style is the longest produced one, these Bugs were built in Mexico up until 2003, long after the more advanced versions were discontinued. Due to their high production numbers, you are most likely to see one of these Beetles on the road. 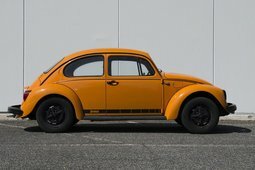 For a long time in the US, the Beetle was an obvious choice if somebody wanted a compact and economical car. 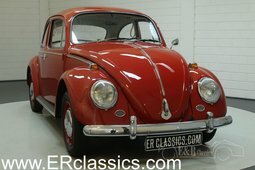 But by 1970s VW Beetle was facing fierce competition in the compact car market from other European and Japanese automakers. In comparison, the Beetle was cramped and uncomfortable. 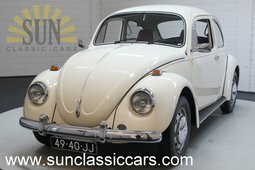 VW addressed the problem by redesigning the car’s front end – it was increased in size and the antiquated torsion bar front suspension made way for coil spring suspension. 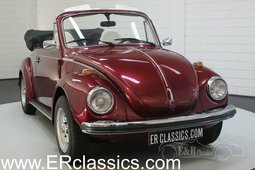 Released in ‘71, the revised model was dubbed Super Beetle in USA and 1302 in the rest of the world. These tweaks increased passenger comfort and almost doubled the size of the frunk. It also made the Super Beetle look a bit bloated. Odd appearance means this body style is not as desirable in the collector circles. 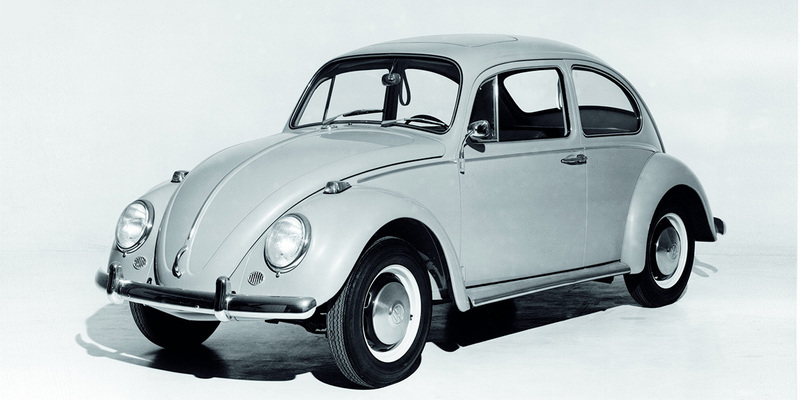 Two years later the Beetle received a curved windshield, aiding car’s aerodynamics and interior space. 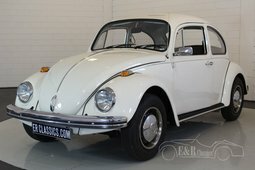 This mildly improved car was badged as 1303 in most of the world and sold under the same Super Beetle moniker in the US. This was the most sophisticated and most modern version of the Bug. A peak of evolution, if you may. 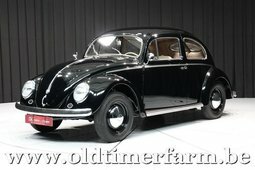 The Super Beetle or 1303 was built in different parts of the world until 1980. Badging on all of the non-Super Beetles was rather straightforward. 1100 meant a 1.1-liter engine under the hood, 1300 the 1.3-liter, 1500 the 1.5-liter and so forth. Later things got a bit more complicated. A 1302 or 1303 badge means the car has a 1.2 or 1.3-liter, while 1302S or 1303S means there is a 1600cc 60 horsepower engine under the hood. LS letters after the number signified a more luxurious trim. Mind you, this was still a Beetle, so the luxury came in a form of padded dash and heated a rear window. Another interesting badge you can find is “Automatic Stickshift”. It was used for the Beetles with a 3-speed manual transmission with a vacuum-operated clutch. It comes with a regular gear lever and the clutch would be disengaged by touching the lever. There was no third pedal, so a torque converter would let the car idle when the brake is pressed. A rather simple and elegant way of catering to those who find manuals too labour intensive. This article only grazed the surface of the Beetle variety as there are thousands of other details to look out for. At least now, you can tell a Brezel and a Super Beetle apart. Enjoy beetle spotting!